So, I’m half way through NaNoWriMo; my college roommate is at or past 50,000 words, whereas I’m sitting at 15,000. 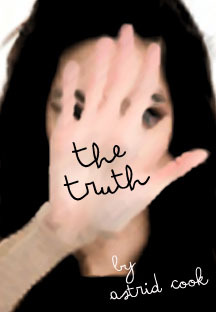 However, I am doing my best to keep up with this Postaday and 30 Books challenge. It’s not that I struggle to find books; it’s time that’s at a premium. New York City moves at a breath-taking pace, and even a “quiet” day can be cacophonic. Finding a respite can be a real challenge; finding a community among millions even greater. But fortunately, it’s also clear that everybody goes down well with beer! So let’s talk about beer (minus the cannibalism, of course). I love beer. No, I mean, I really love beer. I am a member of the craft beer community, five percent and growing. I work in beer. I date a guy who’s into beer. I mean, this community will find nuances in a yeast or hop or spice… it’s wine tasting for the rest of us! 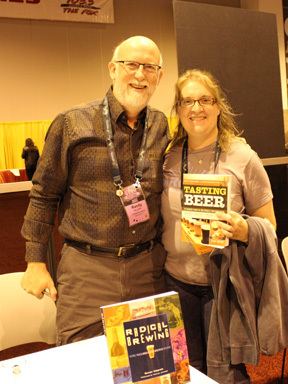 Meeting Randy Mosher at GABF! I recently attended The Great American Beer Festival. Despite living in New York and the festival taking place in Denver, there were quite a few friends there. I feel that the community is quite insular, but also very inclusive. No one is “stupid” in a craft beer circle (yes, we do have a few jackass snobs, but nobody likes them); you cannot be “wrong” in what you taste in your beer: If it tastes like soy, there’s probably some soy in it! Much beer knowledge can be attained through drinking beer. More can be attained through brewing beer. However, you also want to educate yourself about beer. There are many great beer books out there, but I think the best primer is Randy Mosher’s Tasting Beer, An Insider’s guide to the World’s Greatest Drink. Following in the steps of Michael Jackson (and before you do any moonwalking, you might want to google that name along with “beer”), Mr. Mosher has created the perfect book of beer history, styles, and methodology. If you could memorize this book in its entirety, you would without a doubt be a beer expert without even downing a drop. But what would be the point of not drinking beer when it is so damn yummy? So, find a great craft beer (or, better yet, craft beer bar), drink a pint, and start reading Tasting Beer while you’re, well, you know, tasting beer!